Woodland birds call to one another as you ascend the mountain trail – flat stones like cobblestones in the rich earth. Trees that appear too narrow to uphold their own great height mingle with verdant green undergrowth. This is just one of the peaceful scenes that the Nakasendo Trail has to offer. Other portions pass alongside the fields and homes of local residents, intersecting with modern roads. Each end of the trail is capped with a charming historic village. Use this handy travel guide to begin planning your adventure today. The portion of the Naksendo Trail between Magome and Tsumago is well maintained and easy enough for even inexperienced hikers and for those who want to do it on their own. At a leisurely pace, the five mile (8 kilometer) trail can be completed in two to three hours. No special equipment is necessary, but be sure to wear comfortable flat-soled shoes. Traveling from Magome to Tsumago, rather than taking the opposite route, involves less uphill hiking. 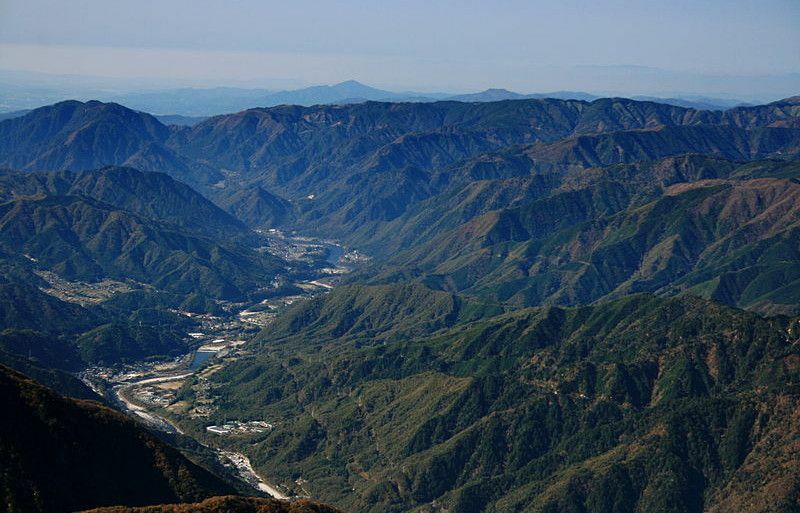 The Kiso Valley was once an ancient trade route alongside the Central Japanese Alps. The 70 kilometer route became part of the 500 kilometer Nakasendo during the Edo Period. Most people traveled by foot, so “post towns” were established every few kilometers to offer food and rest. Departing from Tokyo Station, take the JR Tokaido Shinkansen to Nagoya. Japan Rail Pass holders should use the Hikari rather than the Nozomi trains, as the latter are not covered under the JR Pass. This portion of the journey will take just under two hours. At Nagoya, transfer to the JR Shinano Limited Express to Nakatsugawa Station, along the Chuo line. This portion of the trip takes just under an hour, for a total travel time of about three hours. 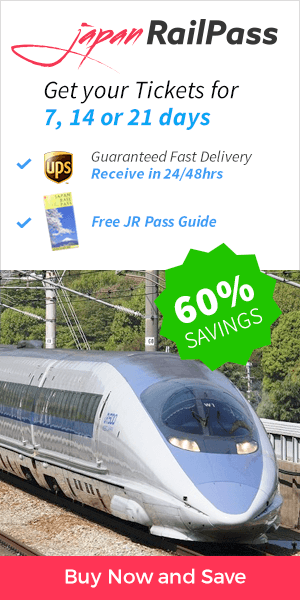 If you use the Hikari trains along the Tokaido Shinkansen, the entire trip will be covered by your JR Pass. Then, from Nakatsugawa Station, you may take a 30 minute bus ride to Magome. Alternatively, you may take the JR Azusa Limited Express to Shiojiri, and then transfer to the JR Shinano Limited Express. From Tokyo Station, take the JR Tokaido Shinkansen to Nagoya, then transfer to the JR Shinano Limited Express. Check to make sure that your train’s itinerary includes a stop at Nagiso Station, as many do not; otherwise, you can transfer to a local train at Nakatsugawa Station. Tsumago is a short bus ride from Nagiso Station. If traveling from Kyoto or Osaka, you will also board the JR Tokaido Shinkansen to Nagoya and follow an identical route. Use the sample itinerary below to craft your own unique experience. 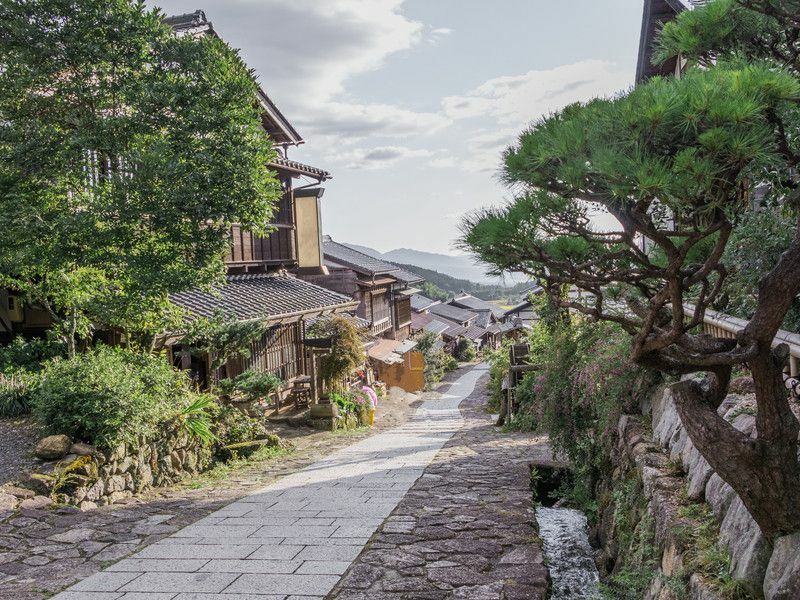 Your adventure will begin in the historic town of Magome. It is a “post town,” number 43 of 69 stations that served travelers during the Edo Period. The town is well-preserved, with well-tended gardens. You’ll spend the first day of your itinerary exploring the area’s rich history. You can choose from the Honjin/Toson Memorial Museum, a former inn that celebrates a local artist; or, visit the Wakihonjin Museum to learn of the history of the town itself. Next, enjoy lunch at the Tsuchimaya Shiryokan, pick up some souvenirs, and explore the small museum at this location. Then, spend the remainder of the afternoon at the Shimizuya Shiryokan, another small museum featuring local clothing, pottery, and scrolls. 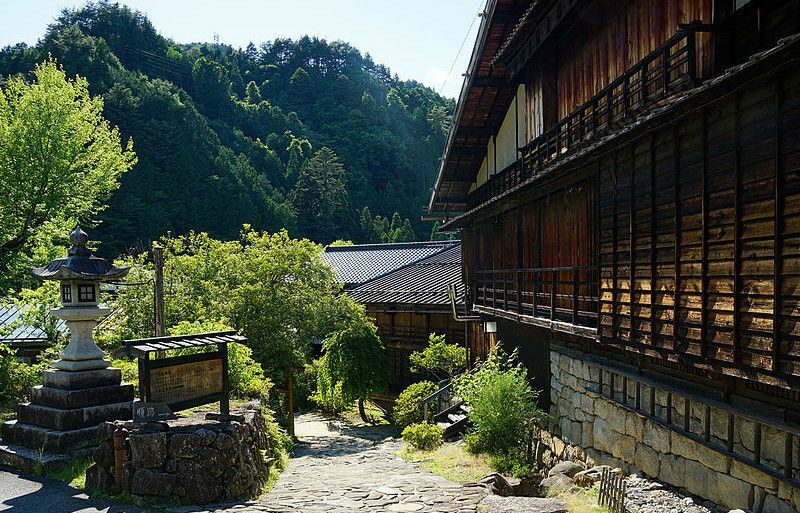 On this day, you will walk the Magome-Tsumago Trail. You’ll find a Wi-fi hotspot at the top of the hill before leaving Magome. Allow two to four hours to complete the hike to Tsumago. The trails are clearly marked in both Japanese and English, so a map is not necessary. Along the route, you’ll also find public toilets and a tea house in order to refresh yourself. In the afternoon, you will arrive in Tsumago. Have a late lunch or dinner at Yoshimura Soba. Explore Tsumago. Walk among the traditional wooden houses, and you’ll discover many shops and ryokan. End your day with a stay in a ryokan or by traveling back to your “home base” in Tokyo, Kyoto, Osaka, or Nagoya. From March through November, baggage forwarding services are available from Magome to Tsumago and vice versa. Luggage can be dropped off at the town’s information center in the morning and picked up at the information center of the other town in the afternoon. This is very convenient as it negates the need for hikers to carry all of their belongings in a backpack, or to return to the departure point to retrieve the luggage. During summer, try to start your journey early in the day so as to avoid the midday heat.